for $419,990 with 4 bedrooms and 4 full baths, 1 half bath. 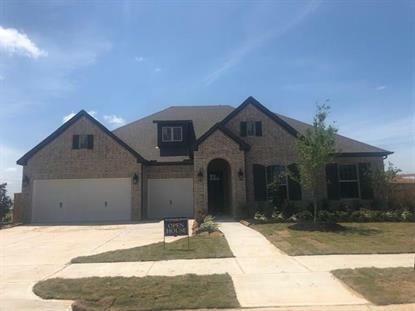 This 3,345 square foot home was built in 2019 on a lot size of 13148 Sqft..
NEW DAVID WEEKLEY HOME! The Jaiden is a one-story with stone and brick exterior on oversized lot. Open kitchen with a full work space island with lots of room for barstools. Incorporated dining space makes this home feel open and helps bring a lot natural light into the kitchen and family room. Owner's Retreat features beautiful windows and large garden corner tub and big separate shower with double sink. One of the secondary bedrooms has a nice stand up shower for guests. Huge outside covered patio with ceiling fans and gas line for those backyard BBQs with family and friends. Heating and cooling usage guaranteed! Take I-10W to Jordan Ranch Blvd/Igloo Rd, go south. Trun left on Jordan Ranch Crossing. Right on Raven Crossing. Right on Indigo Ralls.